Before having new carpets installed, get all your questions answered. If you are planning on having new carpets installed, you may have many questions you want addressed. Getting answers for these questions will not only put your mind at ease, but also will educate you by teaching you about the various aspects to consider when installing new carpets. If you are not a carpet installation "guru," understanding the basics of the project will help you remarkably. Are There Any Hazards to Consider When Installing New Carpets? Yes, when installing new carpets, you must consider the presence of volatile organic compounds (VOCs). 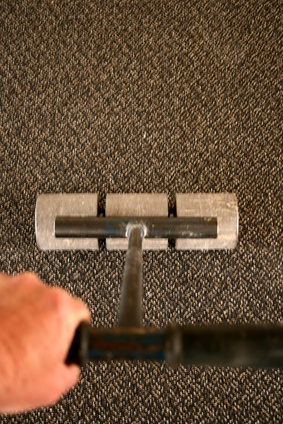 The offensive odor that new carpets emanate is due to the levels of VOCs found in carpets. To minimize the hazard, you should buy carpets that are certified to have lower levels of VOCs, and make sure that you thoroughly ventilate the area where the carpet is being installed for 72 hours. Who Prepares the Room Before the New Carpet is Installed? One of the most common mistakes people make when buying new carpets is assuming that whoever is installing the carpets is doing all the work. However, removing the furniture to place the new carpet and the removal and disposal of the old carpet may be extra charges that you must add to your installation costs. Therefore, it is important that you inquire as to what the carpet installation charges include, and find out who will be in charge of preparing the room prior to the installation. What Are the Benefits of Using a Professional Installation Service? The benefits of using a professional installation service are many. For instance, a professional installation service will not install defective carpets, they will stretch the carpet properly to avoid ripples and bumps, and they also have the experience to make the seams between two carpets unnoticeable. This last benefit is very important, because, when the seams are installed improperly, it is noticeable to the naked eye under the light. However, it is important that, upon arrival, you inspect the carpet being installed by the professional. What is the Best Type of Padding? The best type of padding is not necessarily the most expensive or of the highest quality. Purchase a padding that works well with the carpet you choose; the right padding allows for proper installation. Padding that is too thin can keep your carpet from looking good aesthetically, and padding that is too thick can affect the installation process by not allowing your carpet to anchor properly to the floor. Consequently, once you choose your carpet, ask a professional what padding suits your carpet best. Is it Normal for My Carpet to Shed? Yes, this is usually due to the excess of fibers in your carpet. Shedding is often due to weaker fibers that come loose in the installation process or fibers that were part of an area that was cut. This usually happens for a few days after the installation, and you should not expect any deterioration in how your carpet looks or feels. Vacuuming is usually the best way to get rid of these fibers. However, if fiber loss persists, contact the installation service professionals. K&K Floors: How Do I Install My Own Carpet and What Tools Are Needed?